What would happen if Johnny Cash were still alive and asked to direct a Marvel movie? You would end up with this week’s movie. 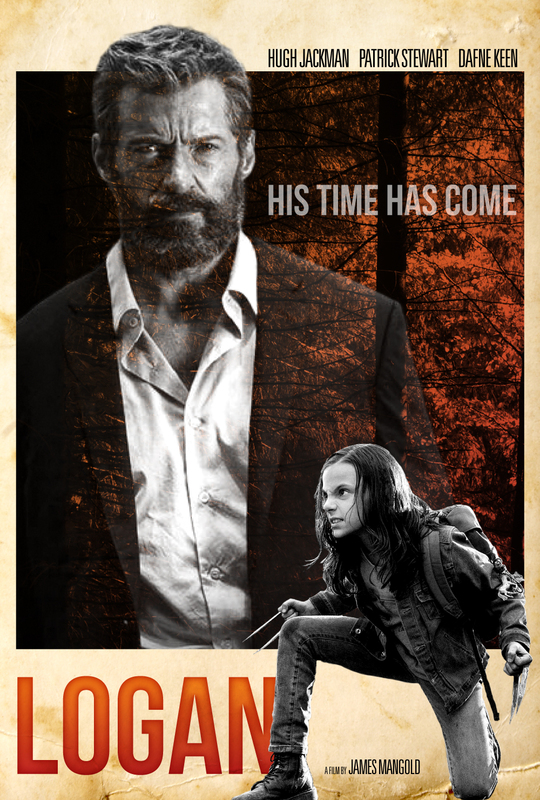 In a world filled with “dark and gritty” hero movies, Logan manages to stand out above so many others. Mainly because of the source material, but also because James Mangold captures what it must feel like to be immortal as everyone around you dies…and to just want rest. My adaptation of the poster is loosely based on old Westerns, since that’s where a lot of the movie draws its roots. I also tried to bring in the forest as a background, since that becomes an important theme late in the film.